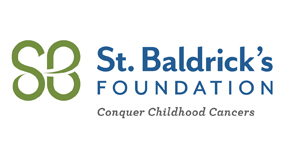 Dec. 10, 2018—Vanderbilt may submit research grant, supportive care research grant and consortium research grant proposals for the St. Baldrick’s Foundation spring grant cycle. Dec. 6, 2018—Vanderbilt University may submit up to two proposals, one in medical research and one in science and engineering, for the W. M. Keck Research Program. Nov. 30, 2018—Vanderbilt University anticipates the opportunity to submit one application to The Braitmayer Foundation. The Braitmayer Foundation is interested in proposals utilizing innovative practices in K-12 education throughout the United States. Nov. 28, 2018—Vanderbilt may submit one application to the Recordings at Risk program. Recordings at Risk is a national regranting program administered by the Council on Library and Information Resources (CLIR) to support the preservation of rare and unique audio and audiovisual content of high scholarly value through digital reformatting. Nov. 12, 2018—Vanderbilt University may submit one application to the AmerisourceBergen Opioid Resource Grant Program. Nov. 6, 2018—Vanderbilt may submit one application to the Tennessee Arts Commission Arts Project Support (APS) or Rural Arts Project Support (RAPS) program. Oct. 30, 2018—The National Comprehensive Cancer Network (NCCN) Foundation invites proposals from early investigators with innovative ideas and an interest in improving the quality, effectiveness and efficiency of care provided to cancer patients. Oct. 29, 2018—Vanderbilt is anticipating the opportunity to nominate one candidate each from the School of Medicine and the School of Nursing for the Josiah Macy Jr. Foundation’s Faculty Scholars Program. Oct. 29, 2018—Vanderbilt (VU and VUMC combined) anticipates the opportunity to nominate up to two candidates for the Moore Inventor Fellows competition. Oct. 22, 2018—Vanderbilt anticipates the opportunity to nominate one candidate for the 2019 David Mahoney Neuroimaging Program. Oct. 22, 2018—Vanderbilt University is anticipating the opportunity to submit one application for the Mary Kay Foundation Translational Research Grant, which supports innovative translational research in ovarian, uterine, breast or cervical cancer that could lead to improvement in diagnosis, prognosis, prevention or treatment of the cancer. Oct. 18, 2018—The Children’s Theatre Foundation of America Founders Grant program seeks to encourage and support the development of new and innovative concepts and approaches to theatre for young audiences.